Haring’s graffiti drawings were seminal in pushing art beyond the confines of the museum and gallery setting, and into publicly-accessible spaces such as subway cars and concrete sidewalks. He also maintained an ardent belief in the positive impact of art on people’s lives, especially young people. 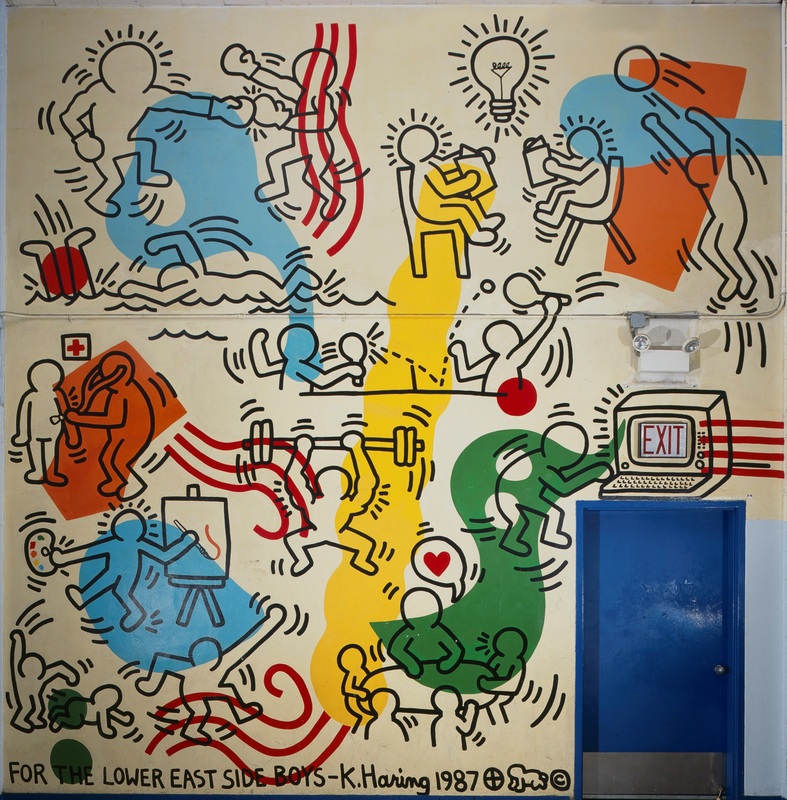 The mural at the BCNY, marked by the words ‘For the Lower East Side Boys’ at the bottom, features Haring’s trademark figures engaged in a host of recreational activities. When the building on Pitt Street was slated for demolition in 2007, the mural, measuring twenty by twenty feet and weighing forty thousand pounds, was carefully removed by a dedicated team of engineers, conservators, and gallerists, who deemed it culturally important to protect. Over a decade later, the mural makes its public debut at Pioneer Works, where it will become the centerpiece of community and educational programs. Image: Boys Club Mural (1987), copyright © Keith Haring Foundation. Keith Haring: Boys Club Mural is a project made possible by Lacoste.